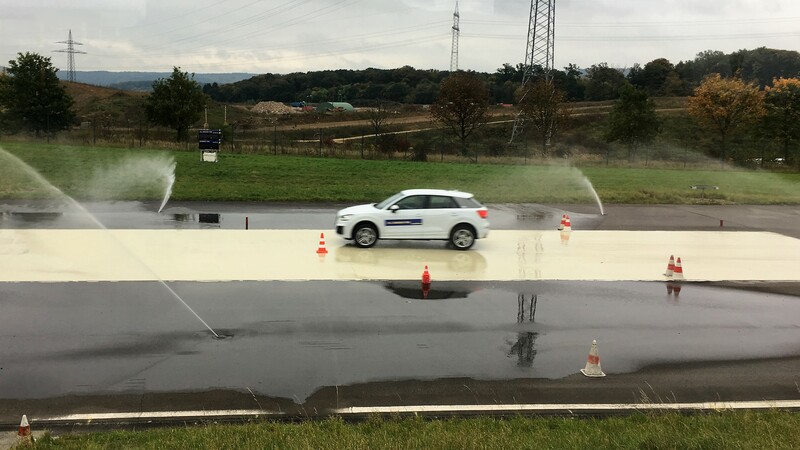 I was recently lucky enough to be invited along to join an event Goodyear Tyres were running in Luxembourg, to showcase their “All season” tyre range. Along with a contingent of other, much more successful bloggers than myself (including a few British dad bloggers that you might recognise!) we took a 2 day trip to Luxembourg, where we got to test-out their tyres first hand. I should probably start this post with a fairly important caveat: I know very little about cars, and even less about tyres. The only recent tyre-based experience I’ve had is that we’ve had to shell out for a number of new tyres recently, for painful reasons that I’ll save for another post. Needless to say though, when it came to choosing tyres, I don’t think it’d be far from the trust to say we usually opt for price rather than make. In fact, I’d go as far as to say that I had NO idea how a tyre is made, or what the differences are between tyres. And that may be partially due to where I live – here in the UK. You see, the climate here in the UK means that we tend to have one set of tyres, which we change as and when we need them. You see, the All-season tyre has been especially developed to (as the name might suggest) work in all seasons. So it gives you the handling you need in Summer, but also the safety and grip that you need in colder conditions. Which also makes it the perfect tyre for us here in the UK. Something I had no idea about before we started. 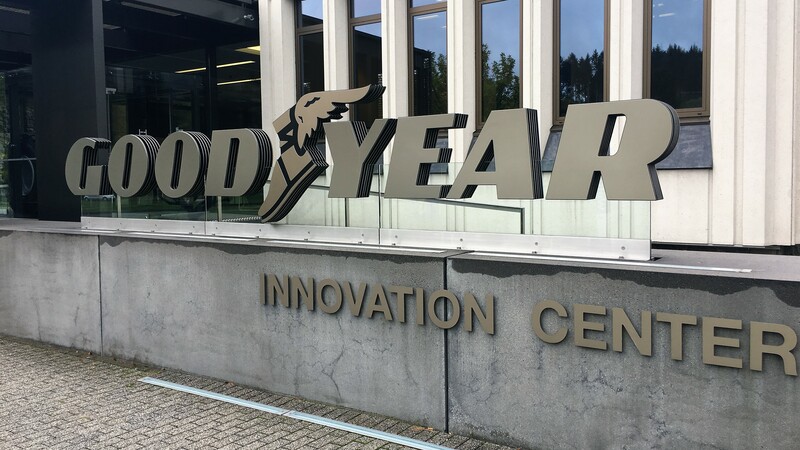 The event itself comprised two parts – day 1 saw us taking a tour of Goodyear’s “Innovation Centre”, where the boffins think up all the new and zany tyres that we’ll be driving in the future – as well as keeping the current crop of tyres as cutting-edge as they need to be. 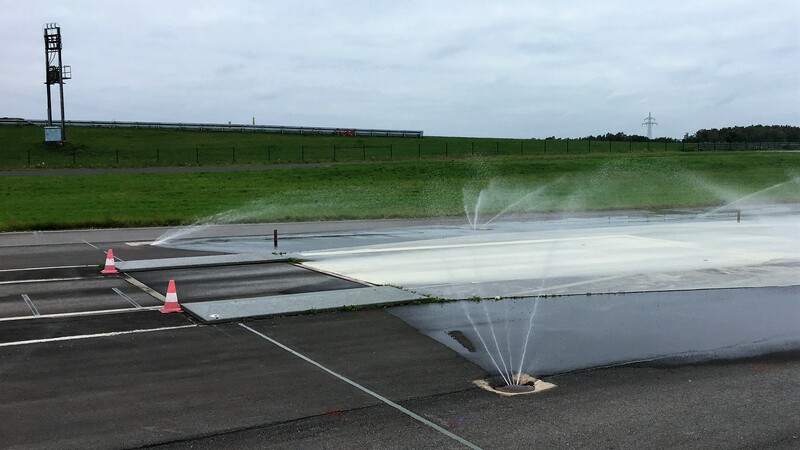 Then, on day 2 we headed to a race track nearby, where Goodyear had laid out 3 different winter driving experiences that allowed us to see the difference for ourselves. If you thought a tyre was just a round strip of rubber with some air inside (which is pretty much what I thought! 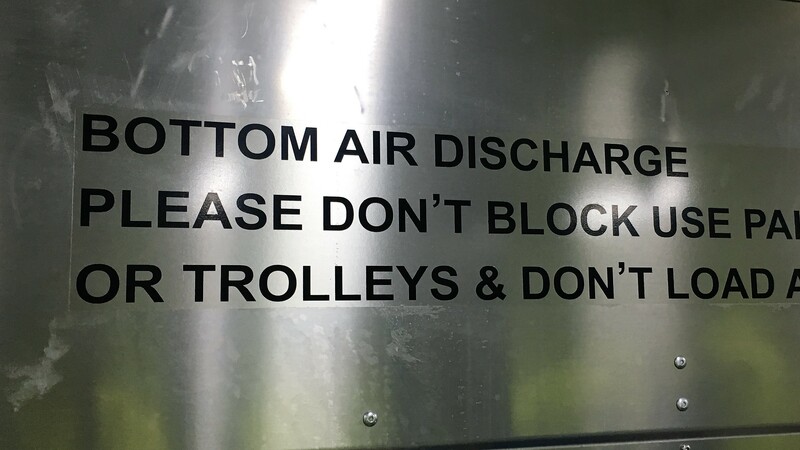 ), think again. Modern tyres contain at least 20 different materials, from steel wire and silica to antioxidants and wax. 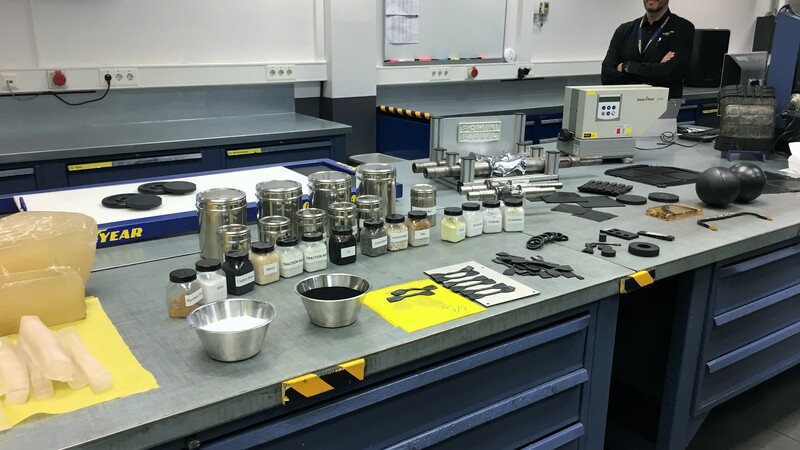 And of course a number of different types of rubber. 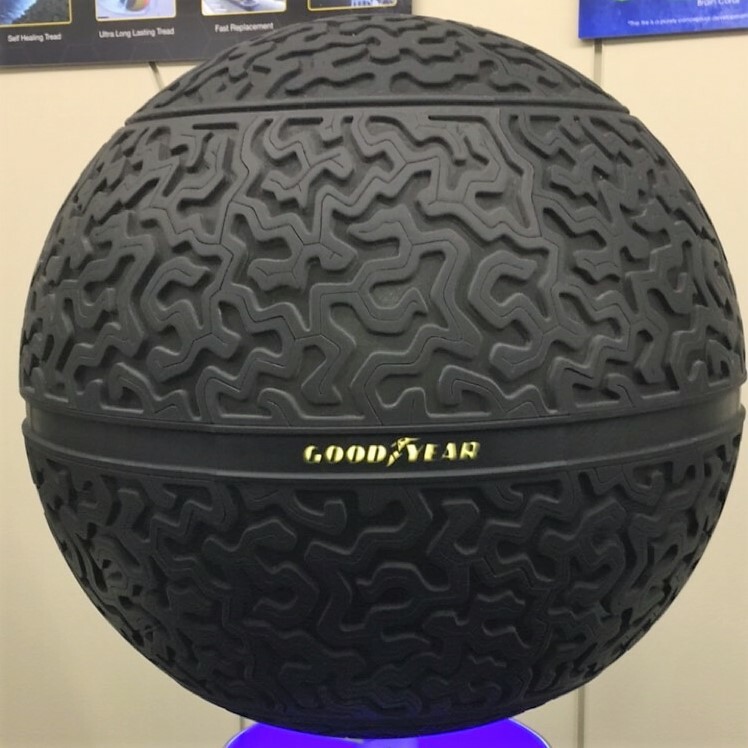 The boffins at Goodyear are constantly tweaking and changing their design to try to shave a few more seconds off your journey, or make those tyres last a few weeks longer. That’s not just conjecture either – that’s literally what one of the engineers told us. 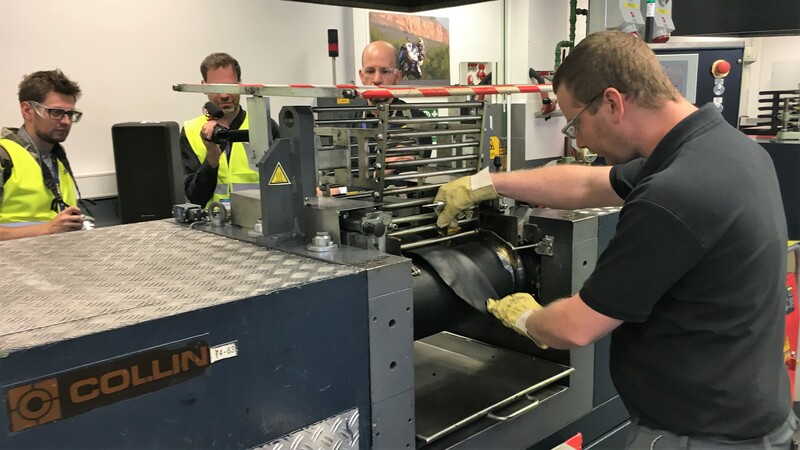 They stick all the raw ingredients into a giant mixture, heat it up and then roll-out the resulting mixture in a giant rolling machine. It doesn’t quite smell the same as a cake, but I’m quite partial to the smell of burning tyres, so I didn’t mind. 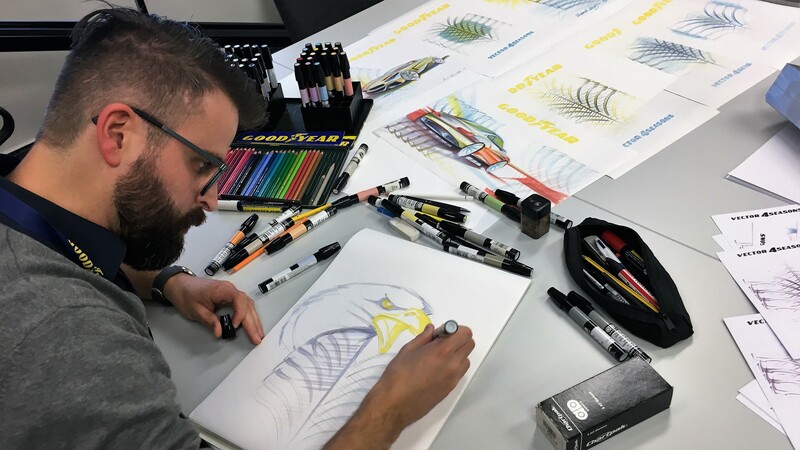 Whilst a lot of science and engineering goes into picking the structure of the tyres treads, the design of the tyre is ultimately still done by hand – by clever men with fancy pens. You can see one of them below – though I’m not convinced that he wasn’t just drawing pretty pictures to keep us happy while we toured around that day…! The tyre in the shot above-right is apparently what we’ll all be driving round on in the future – a completely spherical tyre, connected to the car via magnets. 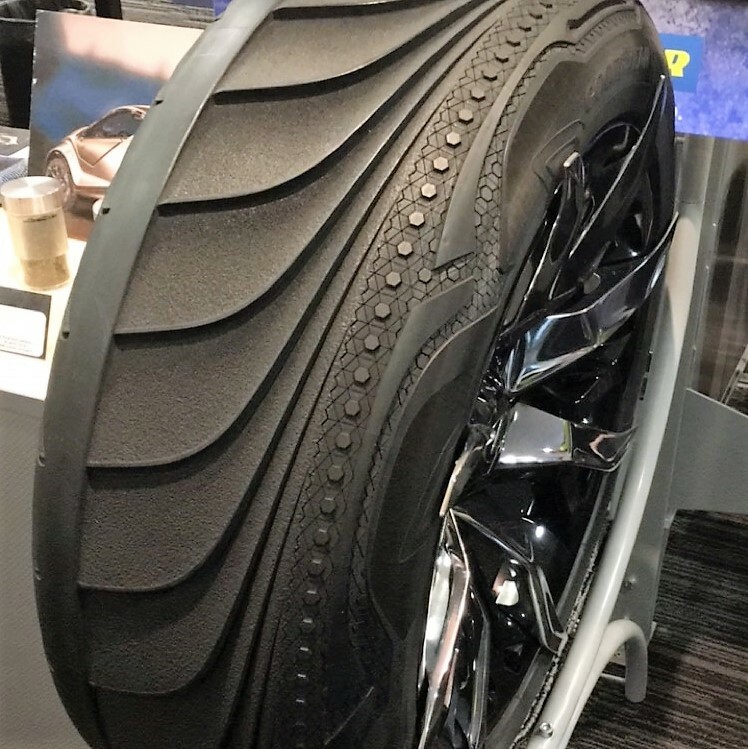 Other futuristic tyres we saw included connected tyres that speak to the car, which are already being tested in autonomous cars and vehicles. 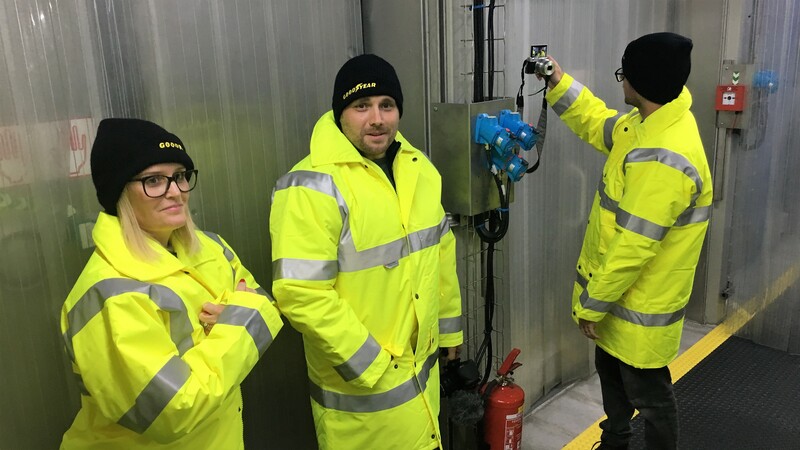 In future, your tyre will tell you it needs changing – if it ever does!! 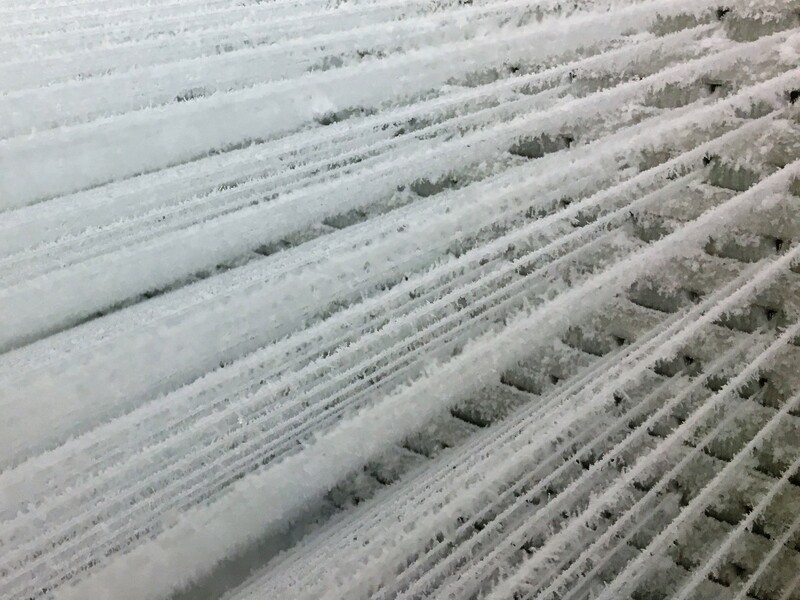 Amongst the many complicated pieces of machinery on offer in the winter labs is a machine which can artificially create snowflakes, which they can then turn into a number of different types of snow. 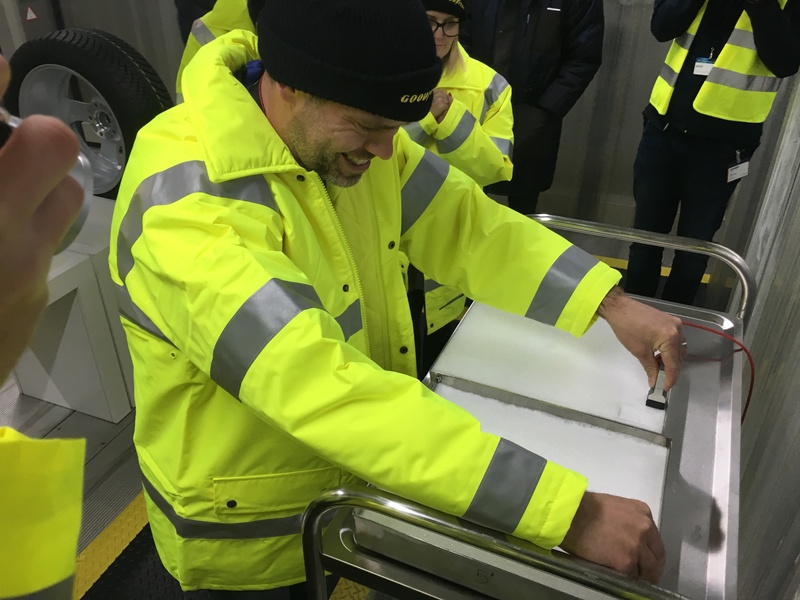 We got to test the gripping skills of Goodyear tyres on a number of different types of snow, as you can see John from DadBlog UK demonstrating in the second photo below. My favourite is below. Ahem. Not only do they have a small but beautiful country to drive around (a country which contains only one traffic jam, from what I can tell) they also have a VERY thorough driving test, which involves every single one of them having to hone their bad-condition driving at a track like the one we visited. 10. These tyres really do work! 11. Skidding can be terrifying! 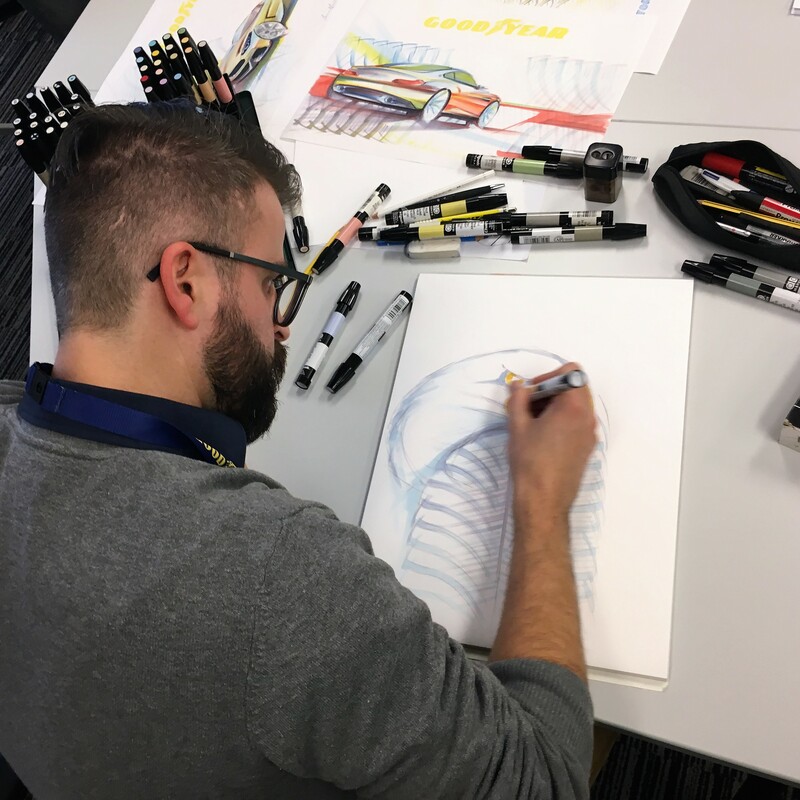 Whilst I must admit I didn’t take in ALL of the information about the company history, which we got given in our introductory talk, one thing that did strike me was how Goodyear have been pioneers in the field of all-weather tyres since 1977 – forty years ago! … but you’d better get ready to hold a lot of cameras for them. I think I was the only UK blogger in attendance who wasn’t recording a video for their YouTube channels, so I ended up behind the camera quite a few times! At least they made up for it by being a lovely bunch to travel with! Below you can see John being filmed by Dave from Dadventurer – a common site over the 2 days. As you can see, I had an excellent time on the trip, and I’d like to give a huge ‘Thank You’ to Goodyear for inviting me along. Great post Henry. It was awesome to meet you and share “tyre time” with you. Thanks also for your help filming! Who knew so much went into constructing car tyres?? 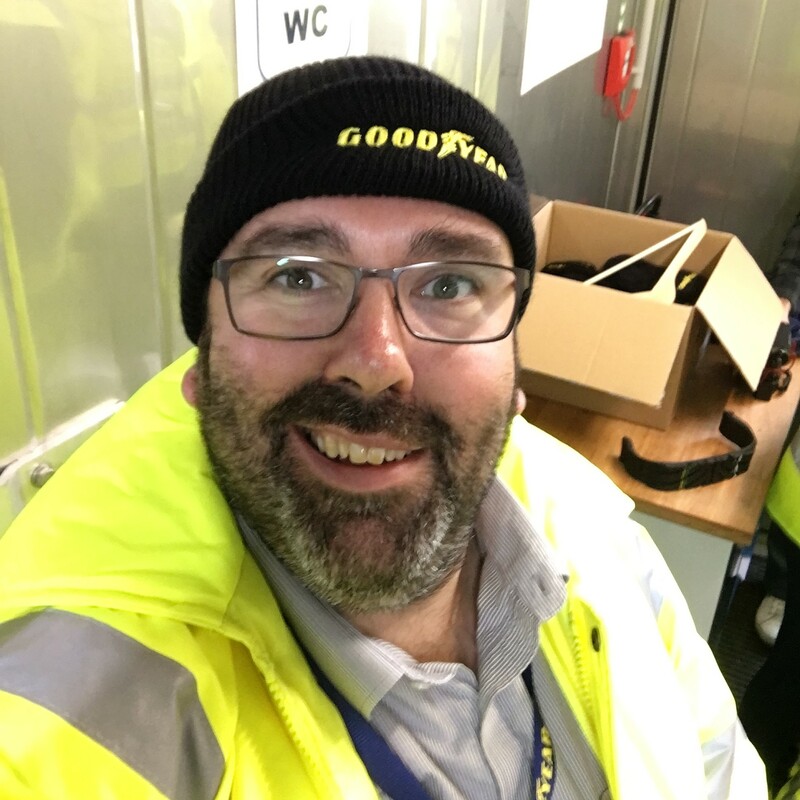 Only Goodyear tyres for us – want to spend that extra money and keep my family as safe as possible when we are on the road for 1000s of miles every year. Looks like you had a great time. I had no idea so much went into making tyres either so now I feel very enlightened! Wow this is so informative, I never really knew so much about tyres! We always buy the best we can afford! 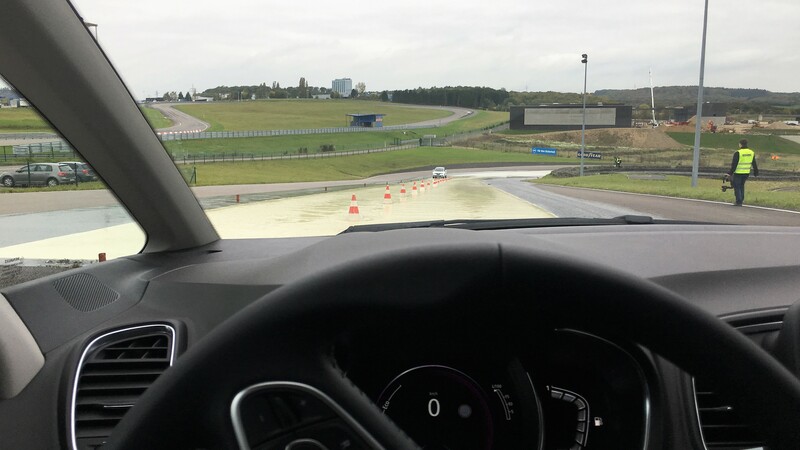 I’ve been driving for a year now, and honestly I still know nothing about tyres… This was actually really interesting to read, and I never thought I’d be wishing that I could have gone to an experience like this haha! Would love to see them being made. I had no idea at all that there was so much involved in making tyres. A really interesting post.